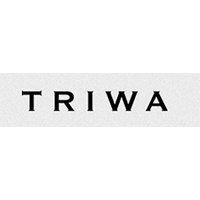 Triwa is a brand that is known for a wide assortment of finely-made watches, but you can also purchase additional items through their website. In addition to watches, Triwa offers sunglasses, straps, gift cards, and much more. Their line of sophisticated watches includes such products as the Sort of Black Gold Chrono, the Sort of Black Gold, the Ocean Nevil, the Raven Lansen Chrono, the Raven Skala, the Dawn Klinga, and many more. Stockholm Sessions is a good example of their current line of collaborations, while the Autumn/Winter 2015 collection was recently released to the public. Sunglasses include Alex, Frank, Grace, Henry, Miles, Nicki, Debbie, Clyde, and several other possibilities. For most up to date offers check out Triwa on Facebook and Twitter or contact Triwa Support for any questions.